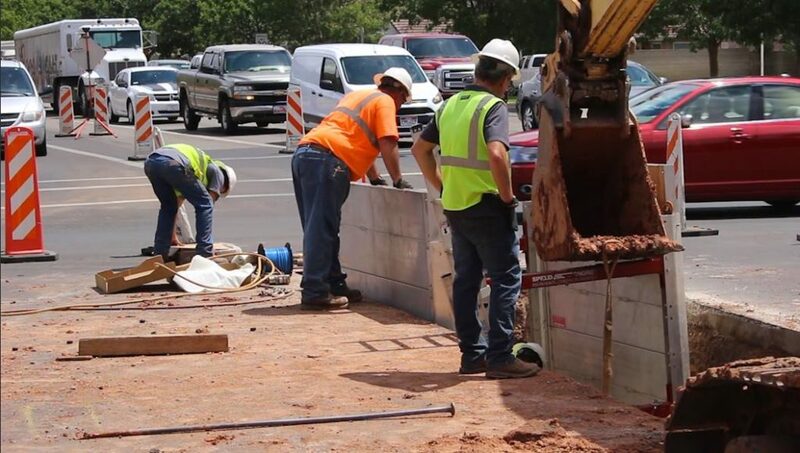 ST. GEORGE — Following a break in the water line Sunday under the intersection of River Road and 700 South, crews installed a temporary patch and scheduled follow-up work for Saturday. 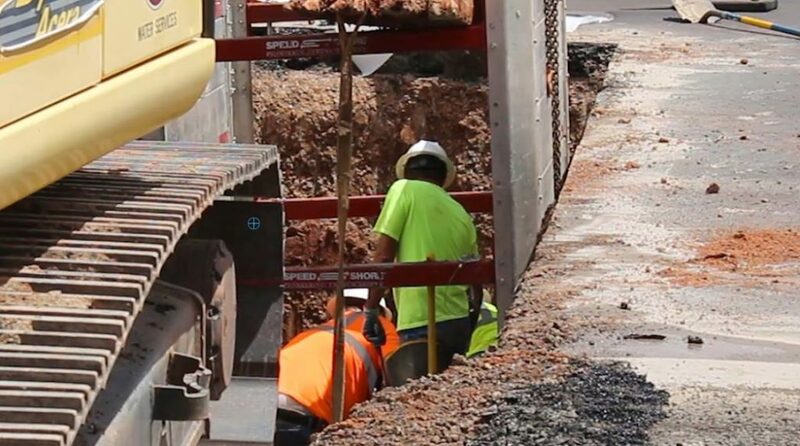 However, the repairs are not holding, and crews closed the intersection Wednesday to begin repairs. 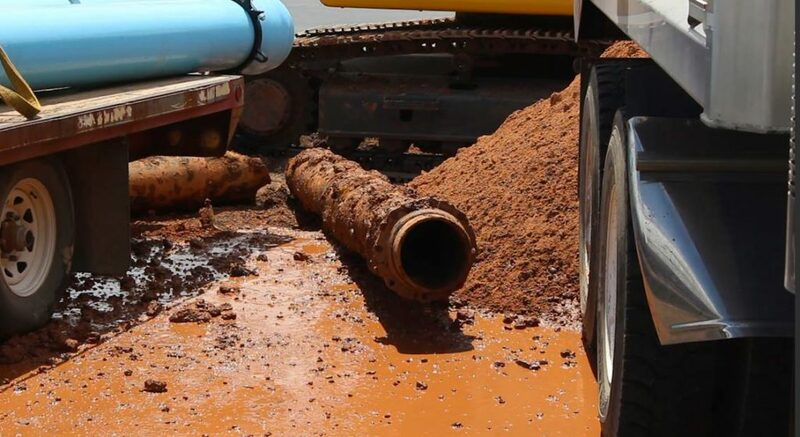 The broken water line is still leaking, St. George Police Officer Lona Trombley said in an email, which is not allowing the temporary patch to stabilize. The decision was made to close the intersection partially Wednesday and do the repairs immediately. 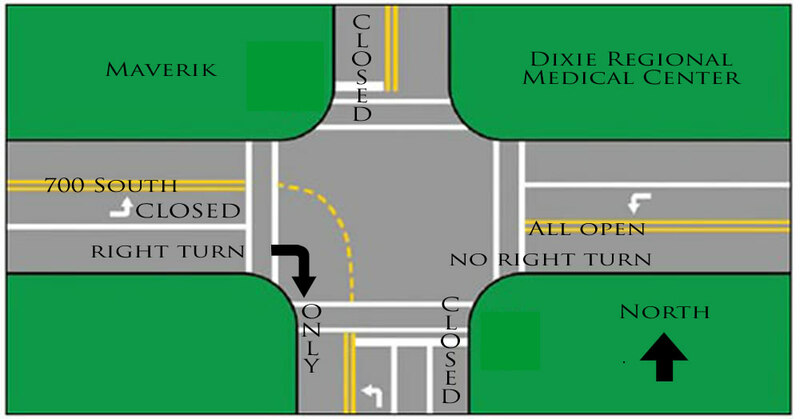 Motorists travelling south on River Road will be diverted onto Medical Center Drive to Foremaster Drive. Northbound traffic is limited to one through lane and a left turn lane onto 700 South, with no right turn onto 700 South. 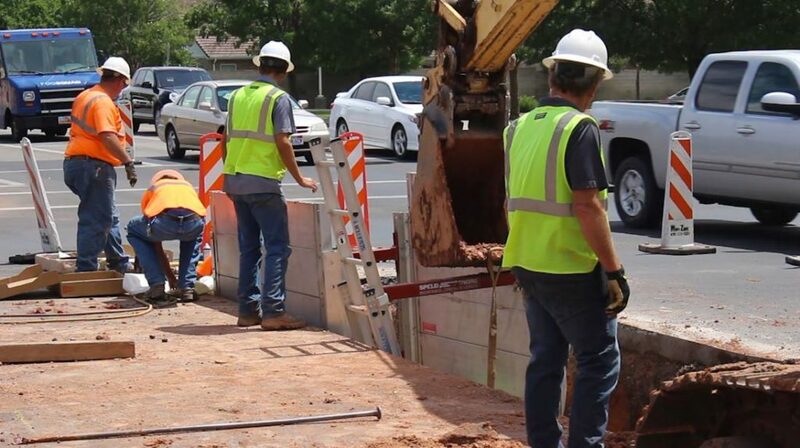 Eastbound traffic on 700 South will be limited to a right turn only onto River Road, while westbound traffic will have one through lane and both right and left turn lanes. 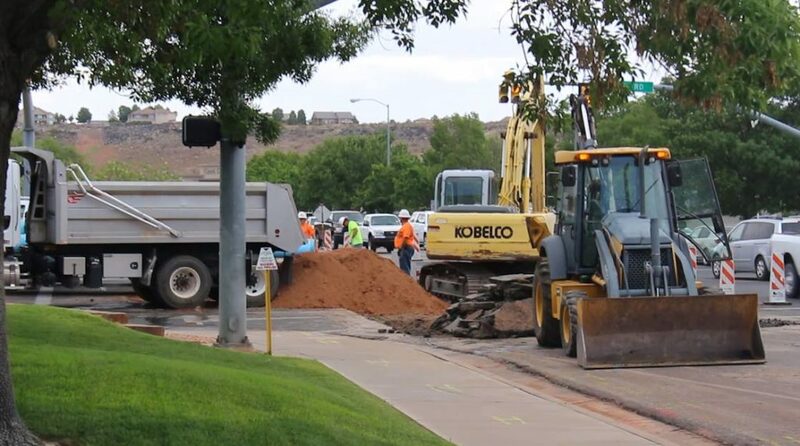 Repairs should be completed by Wednesday night, Trombley said, and the intersection should be fully opened for traffic Thursday morning.